3M 05705. Double sided, soft edge polishing pad designed for use with a polisher and glaze. 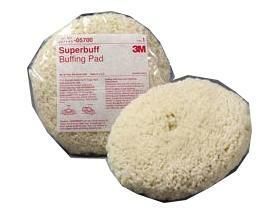 3M Superbuff polishing pad is made with extremely fine fibers to produce a high gloss on paint surfaces. Pad has its own built in, lightweight support system.